Our physicians have undergone advanced training at renowned institutions, so they can bring the latest state-of-the-art surgical and nonsurgical treatments to our patients. As the founding physician of Spine & Scoliosis Specialists, Dr Cohen is the only surgeon in the region with double fellowship training in spine and scoliosis treatment. His fellowship training was completed at Cornell University’s Hospital for Special Surgery, ranked as the nation’s top orthopaedics hospital. Elected to the prestigious AOA medical honor society, open only to the top tier of medical school graduates, Dr. Cohen is known as an innovator. He was the first surgeon in the U.S. to place a universal clamp during a spinal fusion, and he has undergone training in numerous other groundbreaking techniques, including image-guided O-Arm surgery. He was the first surgeon in Guilford County to perform spine surgery using the O-Arm. 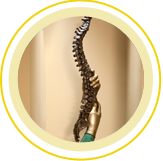 Dr. Saullo is a specialist in physical medicine and rehabilitation who has undergone intensive fellowship training in interventional spine care. He has been trained to perform pain-relieving procedures such as epidural injections, nerve blocks, facet joint injections and medial branch blocks, as well as radiofrequency ablation, discography, vertebroplasty and implants of spinal cord stimulator trials. Dr. Saullo completed his residency at the prestigious New York Presbyterian Hospital Columbia/Cornell and his fellowship training in interventional spine care at Virginia iSpine, where he worked closely with internationally known specialist Michael H. DePalma, MD. Dr. Saullo has co-authored several medical journal articles with Dr. DePalma. Trained initially as a physical therapist, Dr. Saullo brings a comprehensive understanding of the entire musculoskeletal system to his work with our patients. 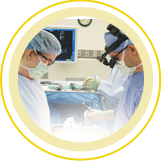 Dr. Torrealba is a fellowship-trained orthopedic spine surgeon. Dr. Torrealba completed his fellowship training in spine surgery at the renowned Twin Cities Spine Center in Minneapolis, MN. Recognized internationally for its excellence in orthopaedic spine surgery, Twin Cities Spine Center accepts a limited number of surgeons for its intensive fellowship program, which provides training in state-of-the-art treatments for spinal disorders and conditions. Dr. Torrealba, who completed medical school and his residency at the University of Puerto Rico, has been elected to the prestigious AOA medical honor society, open only to the top tier of medical school graduates.